Welcome to the Ancien Paquier! You are in the Cervino Valley, a winter ski paradise and the ideal place for walking and relaxing in summer. 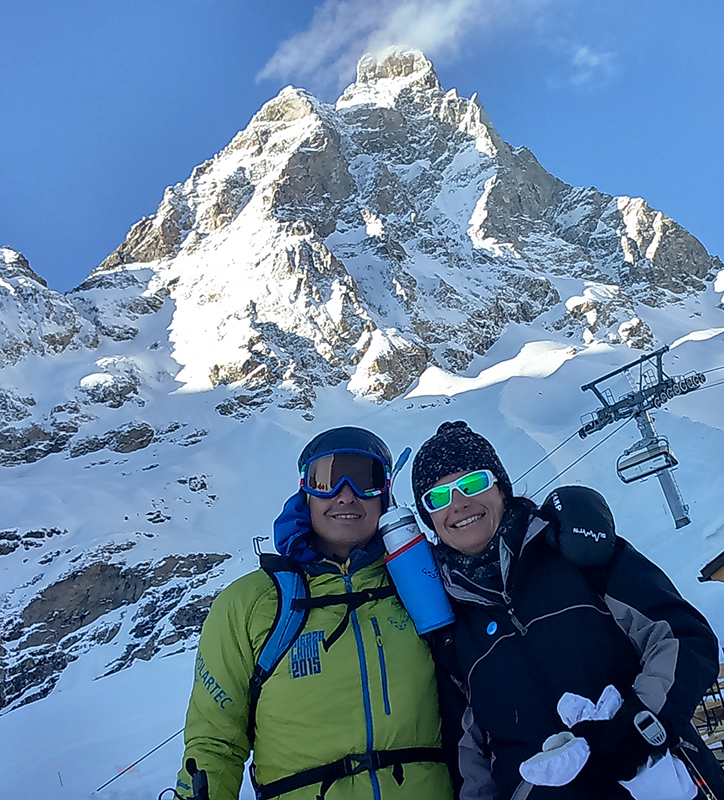 We are Fabio and Paola, the owners of this Bed & Breakfast: a mountain's house located in the historic center of Valtournenche, right in the heart of the village, in a convenient location for all services. In the 50s / 60s our house was the first hotel in the country with hot water, managed by Fabio's aunt, Aurelia. After his death we decided to renovate this historic house and turn it into a house with the Aosta's Valley characteristics. The rooms and suites of the Ancien Paquier embody the mountain's style to perfection, giving life to an environment typical of the Alps, where wood, stone, local fabrics and numerous hearts create a warm, welcoming and romantic atmosphere. Fabio, then, having grown up in Cervinia, is a lover of the mountains, a lover of trekking and ski mountaineering: thanks to his in-depth knowledge of the surroundings, he can advise you on the most suitable excursions for your needs and help you spend a holiday full of activities and different experiences.